Plan an oceanfront escape unlike any other at the JW Marriott Santa Monica Le Merigot. We're situated on vibrant Ocean Avenue, steps away from the beach and within walking distance of a vast range of renowned destinations, such as the Santa Monica Pier and the Third Street Promenade. Treat yourself to genuine luxury in your strikingly decorated hotel room, each one boasting premium amenities like a designer pillow top mattress, a flat-screen TV, a marble bathroom and a mini-refrigerator; many hotel rooms offer views of the beach. 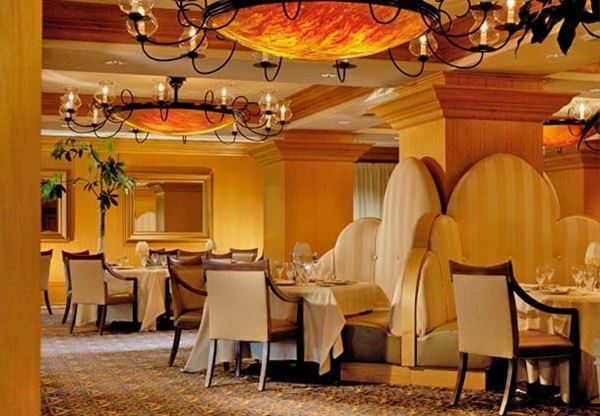 Satisfy your cravings with finely crafted California fare at Cezanne restaurant, sip a hand-poured cocktail on our stylish patio lounge or enjoy a day of luxury pampering at our signature spa. Our hotel also provides a top-of-the-line fitness center and an outdoor pool. If you're looking to host an extraordinary event here in Santa Monica, we feature over 10,000 square feet of well-appointed oceanfront venue space. Special Features: High-speed Internet Access, Dual line Telephones with Data port, Voice mail & speakerphone.